Hi-Tech Music are proud to present the highly anticipated brand new single released by Jr Dread entitled “Akha Lariyan” featuring Javed Bashir & Sharni! 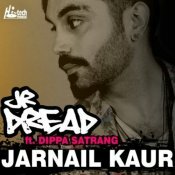 JR Dread is back with a new track featuring Dippa Satrang entitled Jarnail Kaur!! ARE YOU JR Dread? Contact us to get a featured artist profile page.